As the state of emergency in Ethiopia continues, the East African country remains a powder keg and unrest is brewing, particularly in Oromia, where the central government crushed down most brutally on anyone who dares voicing dissent. Some of the failures of the government to respect and integrate minorities are historical, while others are linked to the current leaders’ refusal to accept dissenting voices. Despite a positive economic and development track record – at least on paper – Ethiopia shuns diversity in political opinion by cracking down on opposition parties and jailing it members. The 2015 election, for instance, produced a parliament without any opposition, partly due to freedom of expression being strictly curtailed, leaving opposition groups hardly any room for manoeuvre. No longer are bands of young men marauding on the outskirts of the Ethiopian capital, Addis Ababa, trying to set fire to foreign-owned factories. Nearly two months into Ethiopia’s six-month state of emergency, it appears to be having the desired effect: protests rocking its two most populous regions have subsided. It remains to be seen, though, whether this is the beginning of a sustained period of calm or a temporary break in the most persistent and widespread protests this country has seen since the Ethiopian People’s Revolutionary Democratic Front (EPRDF) ruling party came to power following a revolution in 1991. At that crucial juncture Ethiopia embarked hopefully on a struggle to emerge in the modern world on its own terms. It succeeded in doing so by employing a unique political model that is “an alloy of revolutionary theories, pragmatic neoliberalism and intrinsically Ethiopian customary practices”, says historian and long-term Horn of Africa expert Gérard Prunier. While that political experiment has brought significant economic growth to the country, many claim it has failed the Ethiopian people, who are now voicing that fact. “This government came into being with the support of the rural poor,” says Abebe Hailu, a human rights lawyer who was in college during the student movement that precipitated the 1974 downfall of emperor Haile Selassie, and who lived through the ensuing military dictatorship that eventually fell in 1991 to the rebel-founders of the EPRDF. “Now it is the rural poor that is against them – this is the irony,” he says. When Ethiopian marathon runner Feyisa Lilesa crossed the finishing line in the Rio Olympics in August he crossed his forearms above his head in a widely adopted gesture to protest his government’s violent crackdown on ethnic protests seething since November 2015, leaving upwards of 600 dead, according to rights groups. Those protests went against the grain of Ethiopia’s hermetic history, which has long seen numerous uprisings dealt with internally, away from prying eyes. 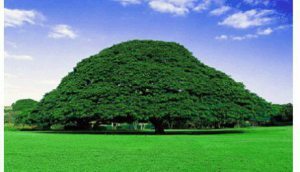 Ethiopia has long been a land of contradictions. On the one hand, the EPRDF has the most impressive economic and development-driven track record of any Ethiopian government in modern history. But set against that, during the past two decades it has shunned diversity of political opinion, repeatedly cracking down on opposition parties, putting their politicians in jail or forcing them into exile. The 2015 election produced a parliament without a single opposition representative. Freedom of expression in Ethiopia is strictly curtailed, and as a result an independent civil society no longer exists. At the same time, Ethiopia’s citizenry is increasingly angry at seemingly never-ending government corruption, while a mushrooming youthful population means the number of young unemployed men across the country irrevocably rises. Many sit idly on streets, their thoughts and frustrations turning toward the centre of power that is Addis Ababa. “The immediate causes for the various groups protesting are different but they have the same demands: deliver the right kind of leadership,” says Yilikal Getenet, chairman of the opposition Blue Party. Initially months of protests remained largely within the Oromia region, home to Ethiopia’s largest ethnic group, the Oromo, constituting about 35 percent of the country’s nearly 100 million population. But then in August  violence broke out among the Amhara – at 27 per cent, Ethiopia’s second largest ethnic group – in northern Ethiopia’s famed city of Gondar, a popular tourist attraction because of its ancient castles. Violence even came to the usually serene lakeside Amhara town of Bahir Dar, another popular tourist destination and weekend getaway known for its palm-lined avenues and island monasteries. An initially peaceful anti-government demonstration there on August 7th escalated to violence after a security guard fire into a crowd, leaving at least 30 gunned down by security forces. At the same time as the Amhara protests, co-ordinated demonstrations occurred in more than nine towns in Oromia, resulting in about 100 deaths, according to Human Rights Watch. The most recent tragedy came a week before the state-of-emergency declaration on October 9th , when more than 100 people drowned or were crushed to death during a stampede following clashes between police and protesters at a traditional annual Oromo festival at the volcanic lake town of Bishoftu, about 50km southeast of the capital. Together the Oromo and Amhara represent more than 60 per cent of Ethiopia’s population, hence their resentment of an EPRDF perceived as having been usurped for 25 years by one of its key founding entities, the Tigrayan People’s Liberation Front (TPLF), which is drawn from an ethnic group that makes up only 6 per cent of the population, and which in addition to government dominates business and the security services. Addis Ababa, the hub of political power and the engine of Ethiopia’s economy, which exists as an autonomous city state within the federation, is surrounded by Oromia. Overall, the city has remained relatively cocooned from the tumult. But that hasn’t stopped some talking of its iconic Meskal Square in the heart of the city waiting to serve as its Tiananmen Square. 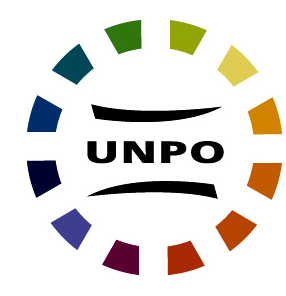 Ethiopia has long been a development darling in the eyes of the international body politic. After the world was shaken by images of Ethiopian famine in 1984, the country turned around its fiscal fortunes and it now has one of the fastest growing economies in the world. Against the abject failure of international assistance in Somalia, Ethiopia is often held up as a heartening example of indigenous government and international partners succeeding in reducing poverty and mortality rates. But many critics say the statistics that have wowed the international community have hidden the more complex reality in which most Ethiopians, while not as susceptible as in the past to famine and disease, are still utterly stifled in their lives’ endeavours. Ethiopia, famously described by historian Edward Gibbon as the country that slept a thousand years while the world ignored it, has now firmly plugged itself into the global network. Satellite dishes dotted all over residential areas in towns and cities beam in news from around the world – including from Ethiopian diaspora news channels that are potently anti-government – while mobile phone ownership and access to the internet follow a steep upward curve. Matters aren’t helped by the fact that wealth from the surging economic numbers has failed to trickle down to the vast majority of Ethiopians, who eke out the daily grind while wages stagnate, and inflation and living costs rise. All the while, rank corruption results in a select few monopolising lucrative deals in the economy, to be then observed splashing out on oversized shiny pick-up trucks and drinking bottles of Black Label whiskey in the capital’s swanky new hotels, which seem to pop up daily. “Since Ethiopia’s economic growth is due to a centralised driven process, a lot of non-Tigray people suspect the Tigray elite to be the only beneficiary of the economic boom,” Wiren says. History always matters, but especially in Ethiopia, where people take the long view. Ethiopians cherish their history – one of the world’s oldest Christian traditions; the only African country that wasn’t colonised – and recall and tell the associated stories spanning the centuries; at the same time they remember the tragedies and atrocities committed among the country’s various ethnic groups, all of which exerts a powerful influence on the present. The EPRDF was preceded by two authoritarian centralised regimes: emperor Haile Selassie and then military dictator Mengistu Haile Mariam. Both were viewed as Amhara-centric, and the federal constitution created by the EPRDF in 1991– and held by many, including critics of the government, as an effective fit for Ethiopia’s more than 80 ethnic groups – was meant to mitigate that fact, accommodating Ethiopia’s diversity and competing claims. 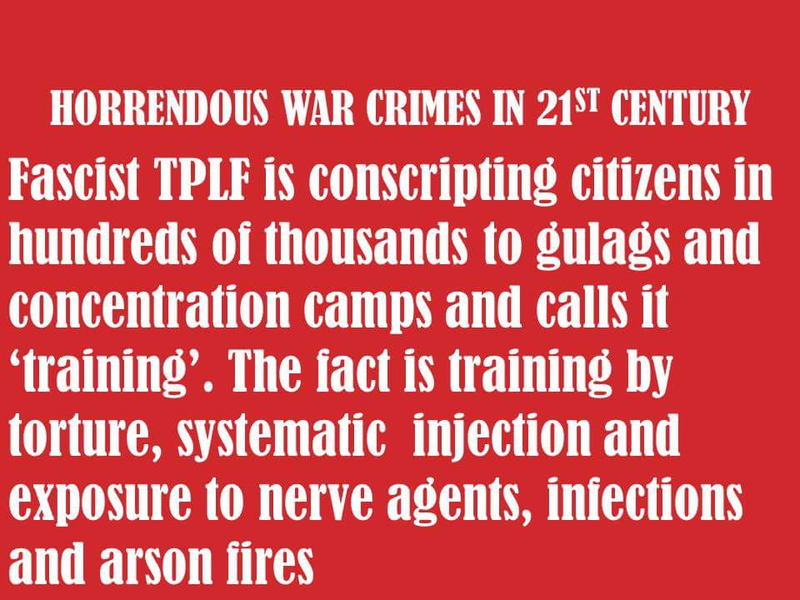 But from the start, the EPRDF has been criticised for allowing the TPLF to hog the limelight and power in the new Ethiopia that has existed since 1991. This style of governance has alienated especially the Amhara (who recall when they used to call the shots) and the Oromo (who feel they have always been excluded, first by the Amhara, and then by the Tigrayans). A major problem for the country’s protest movement is the lack of an organising body to guide it and of a central leadership to engage on its behalf with the EPRDF. The political opposition in Ethiopia is in disarray. It has suffered and been weakened through government harassment, but has also been criticised for not matching its anti-government rhetoric with discussions of effective policy. To compound matters, ever since opposition MPs squabbled in the aftermath of Ethiopia’s crucial 2005 election – the country’s first genuine contest – with some choosing not to take their seats due to allegations of vote rigging, the opposition has remained split among myriad parties that appear unable and unwilling to coalesce into a single effective voice for today’s protests. At the same time all sides, from government to opposition, whether in Ethiopia or acting overseas, appear hobbled by how the vocabulary of Amharic, the lingua franca of Ethiopia, doesn’t lend itself to terms such as negotiation and compromise. The polarisation of US politics pales in comparison to the mire found in Ethiopia: here you are either with the government or against, there can be no middle ground. Nevertheless, many point out that it is the EPRDF, as the holders of power, who need break the deadlock. Geopolitical considerations mean Ethiopia is held by the likes of the UK and US to be an important peace and security bulwark in the Horn of Africa, a region troubled by failing states. Ethiopia also provides large numbers of troops to the internationally funded African force battling al-Qaeda-linked militants in Somalia, as well as to peacekeeping forces in South Sudan and Sudan. Then there’s Ethiopia’s crucial economic role in the region. Djibouti, another key part of the West’s anti-terrorism apparatus in the region, in addition to guarding one of the world’s busiest shipping lanes between the Red Sea and Gulf of Aden, relies for a significant proportion of its GDP on business with Ethiopia. To Djibouti’s south, Somaliland is banking on a €400 million refurbishment of its underused and underdeveloped Berbera port to alleviate its economic woes, with the next-door market of Ethiopia’s continually growing population – Africa’s second largest, and set to reach 130 million by 2025 – forming a key part of its ambitions to keep it safe from the fate of Somalia to its south. Were Ethiopia’s internal fissures to worsen, its hitherto economic juggernaut might well be impeded – unsettling the region’s hitherto stabilising process of economic integration – or even derailed. The government conducted a significant cabinet reshuffle at the end of October, bringing in non-party-affiliated technocrats to deliver change, while promising reforms. But for a country with millennia of centralised, autocratic rule, that’s much easier said than done. Since 1991 western observers and governments have been calling on the Ethiopian government to deepen its commitment to democratic reforms, but it hasn’t previously shown much interest in listening. Hence many aren’t convinced of either the government’s sincerity or ability to make this happen. “This government has failed the people not once but 1,000 times, and they’ve broken promise after promise,” says Merera, who, like many others, notes the left-wing revolutionary genesis of the EPRDF. The prevailing accusation is that this ideology still guides the party, which as a result remains fundamentally anti-democratic, believing in a Leninist single-party approach, and is thereby unable to countenance reform. Opinions about where Ethiopia is heading cover a range of scenarios. It is feasible that a renewed uprising could prove successful, or its attendant pressures result in the internal disintegration of the EPRDF. Both appear unlikely, however, certainly in the short-term. Honed by decades of experience fending off rebellions, Ethiopia’s security apparatus is ruthlessly effective – hence the apparent success of the state of emergency. If judged necessary, an even more blistering government crackdown can’t be ruled out. Ethiopia doesn’t have to fear, according to observers, a military coup: the army is professional, well trained and its higher echelons respect the constitution and harbour no ambitions to rule. But how they might react to some of the worst-case scenarios predicted – Ethiopia descending into civil war or a failed state torn by ethnic strife – is another matter. 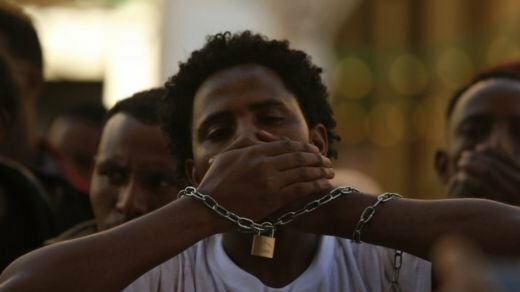 Most observers suggest the best way to avoid the worst case scenarios would be to, at a minimum, release all political prisoners, unshackle the media and allow freedom of expression, and begin reforming key institutions that have been found wanting, such as Ethiopia’s judicial system. When it comes to the EPRDF’s future role in all this, opinions vary. Some say it has lost every shred of legitimacy and must immediate make way for a transitional government. Others say is not feasible nor in Ethiopia’s best interests. Rather, the EPRDF should, in addition to carrying out meaningful reforms, establish a new electoral commission that would guarantee the next local elections in 2018 and national elections in 2020 were freely contested. “That is the best course of action as it would provide a solution that isn’t orchestrated by the government but which is chosen by the Ethiopian people,” Lidetu says.